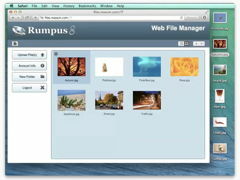 Getting started with the far-more-customizable Rumpus Web interface. How to enable SFTP and connect to your server simply but securely. 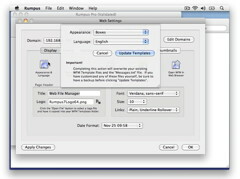 Setting up auto-complete text fields and e-mail addresses. 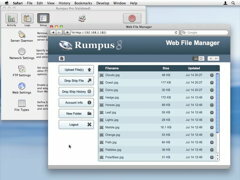 A demonstration of how a Rumpus server allows clients to transfer and manage files. 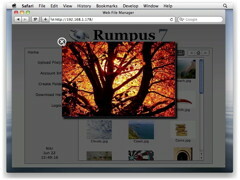 This video covers a complete Rumpus installation, from downloading the software to client login. 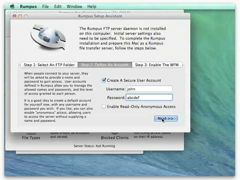 A short introduction to installing and using a Rumpus file transfer server. 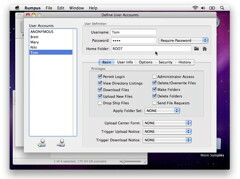 See how to set up user accounts so that users each have their own folder on the server. 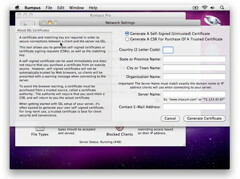 A review of the most important server options every Rumpus administrator should set. 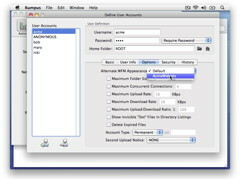 Need to set up secure file transfers? Take a look at this screencast. 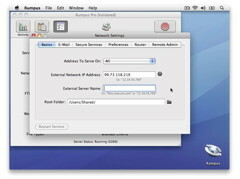 If your network router is an Apple AirPort, see how to allow outside access to your server. 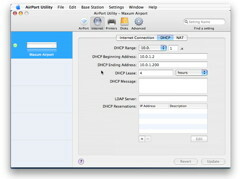 Allowing outside access requires configuration of your local router. 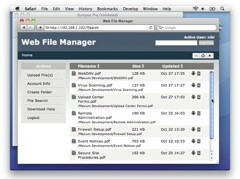 Let users send big files to guest users with simple e-mail pickup links. Preview images, movies and other content in a simple, integrated pop-up window. 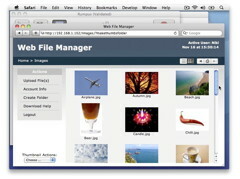 Allow users to find files on your Rumpus server through filename or full content searches. 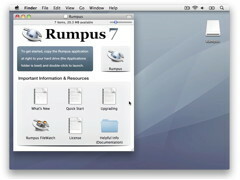 Display file listings with thumbnail images automatically generated by Rumpus. 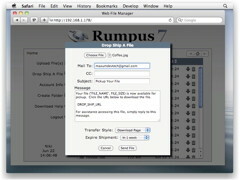 See how to customize the Rumpus Web interface for individual users. 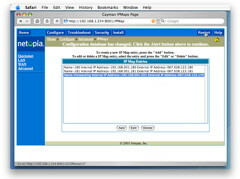 Allow users to select alternate Web interfaces, to choose a display language, for example. 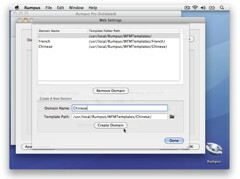 Serve multiple domains from a single server, each with its own unique appearance. 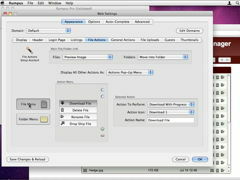 If you are familiar with HTML & CSS, you have complete control over the WFM appearance. 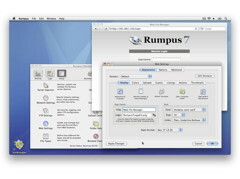 Monitor and administer your Rumpus server from your desktop Mac or iPhone. 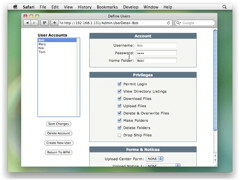 Manage user accounts from anywhere, using the simple Web interface.